We are excited to announce our participation in World Habitat Day that includes a partnership with Arizona’s celebrated Cartel Coffee Lab. 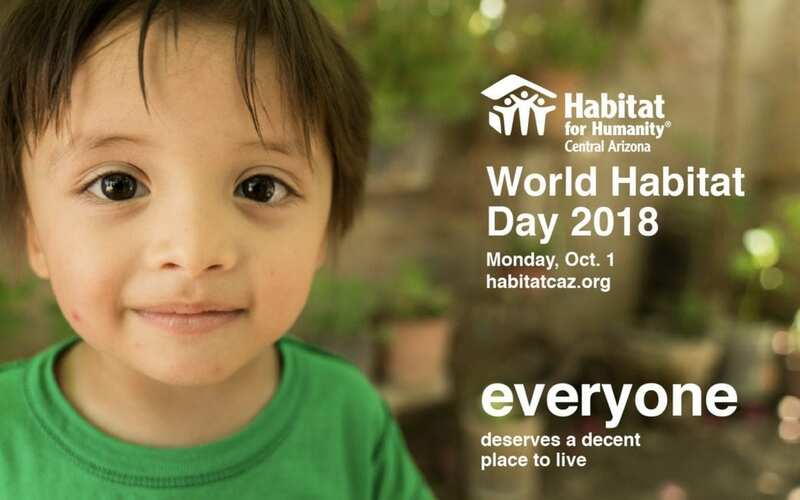 On the first Monday of October, Habitat for Humanity joins partners around the world to recognize the right of each person to basic shelter and to raise awareness of the need for affordable homes and home repairs. This year Habitat for Humanity of Central Arizona is focused on project in Central City South in Phoenix where there are specific housing needs. Join us for Coffee, Donuts, Free Habitat Swag and more! 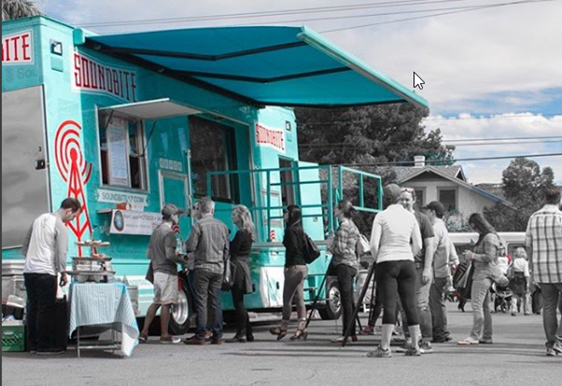 Stop by our Phoenix office and ReStore on Monday October 1st from 7am to 10am at 115 E. Watkins St., Phoenix 85004 where we will be joined by the KJZZ Soundbite truck for coffee by Cartel Coffee Lab and Rollover donuts from Shortleash while we share news and information about our Neighborhood Revitalization program. We encourage you to stop by on World Habitat Day to meet our team, shop at the ReStore, and invite you to become a new monthly donor. As a thank you for becoming a monthly donor, we will send you a bag of our private label coffee called Builders Brew which is roasted by our friends at Cartel Coffee. 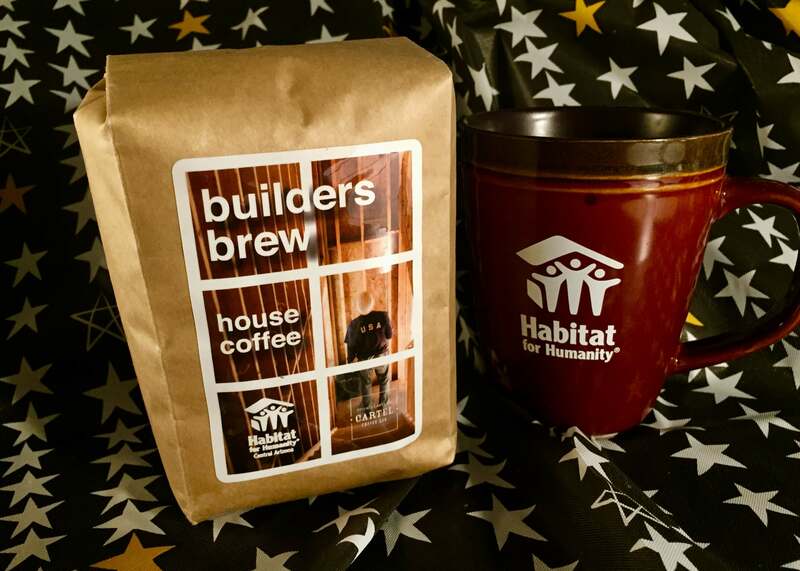 To qualify for this special limited-time offer, visit the Habitat website (habitatcaz.org/buildersbrew) and click on the “Donate Now.” The promotion runs Oct. 1, 2018 through Dec. 31, 2018. This offer is open only to new donors who establish a recurring monthly donation of $20 or more during the designated promotional period. Donations through this program qualify for the Arizona Tax Credit. Monthly donations may be cancelled at any time. As a monthly giver you’ll join a dedicated group of social-doers who, each month, help Arizona families build affordable housing, revitalize their neighborhoods and improve their communities. And, your recurring monthly donations can also qualify for the Arizona Tax Credit. I would like to help. I’m a small business owner, I live in Maricopa Az and have a lovely family. 2 daughters 10 and 16 and a lovely wife. I’ve been interested in helping build homes for the needy and I would like to help. How van i get started? WE would like to find a way to volunteer or support possibly with a monthly donation. Mindy! Thanks so much for reaching out! The fastest way to set up monthly donations is here: https://habitatcaz.org/donate-online/ Thanks again!